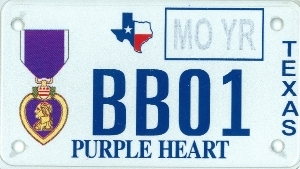 Size: 4" x 7", single cardboard tag. 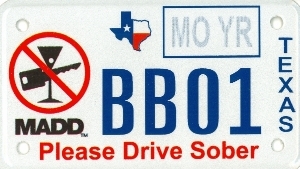 Issued to motorcycles & mopeds. 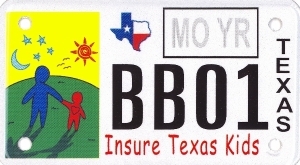 Allows for unrestricted movement of vehicle pending permanent registration. 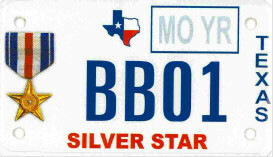 Fee: $10 1st, $15 each add'l. 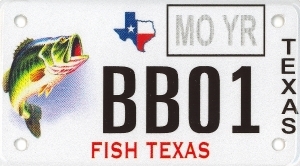 Size: 1 3/4" round. 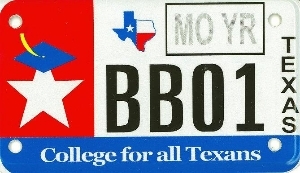 Single sticker. 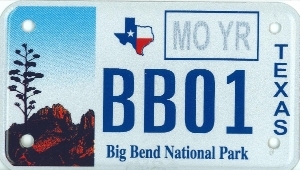 For 3 and 4 wheeled all-terrain vehicles operating off-highway on public property. 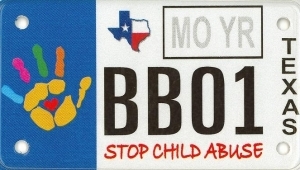 Sticker is to be placed on the handlebars or front of the vehicle. 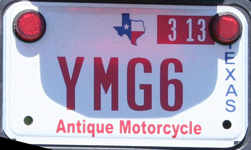 Issued for motorcycles that are at least 25 years old and collector's items. 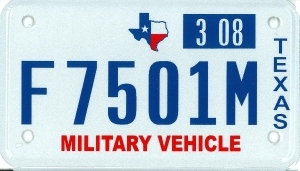 The vehicle must be used exclusively for exhibitions, club activities, parades, or other functions of public interest and in no case for regular transportation. 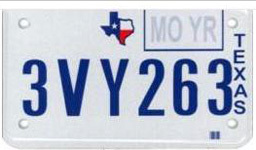 This is a five year plate. 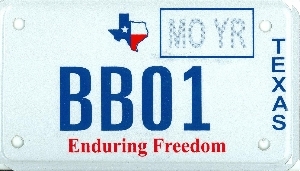 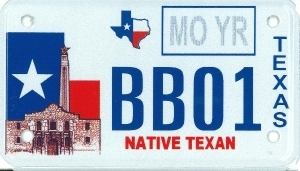 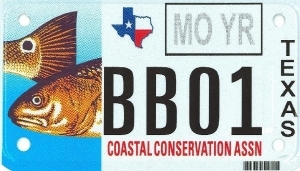 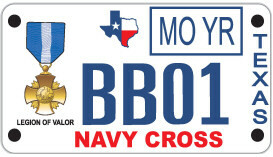 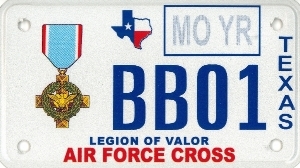 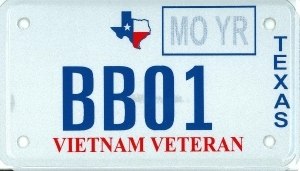 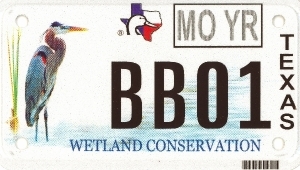 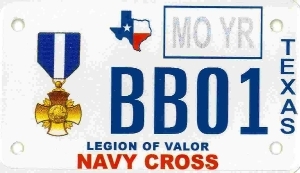 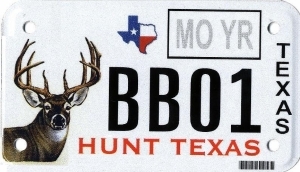 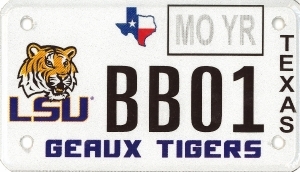 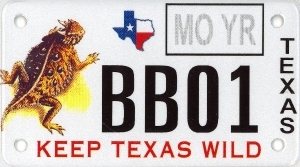 The current plate expires in 2008. 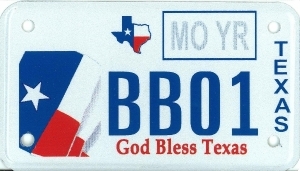 Fee: $15 in addition to regular fee. 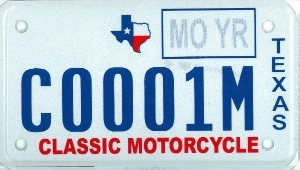 Issued to motorcycles that are 25 or more years old. 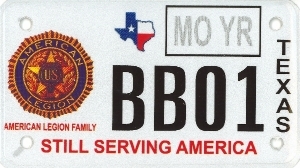 Available as: Army, Navy, Air Force, disabled? 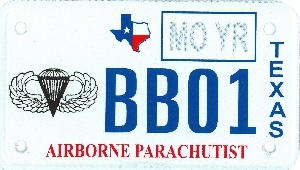 First year of issue: 1946? 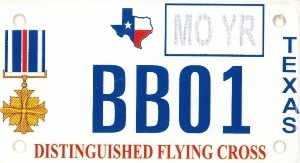 Fee: $500 distinguishing number fee, plus $45.30 per plate. 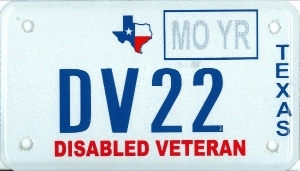 Issued to motorcycles operated by those with a permanent disability. 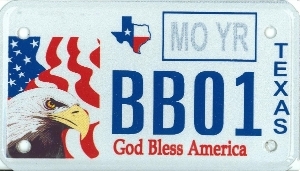 First year of issue: 1939? 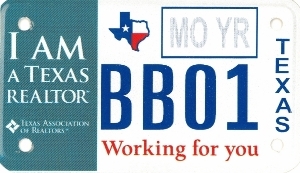 Issued to all tax-exempt motorcycles, including those owned by state & local government, schools, etc. 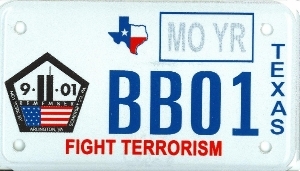 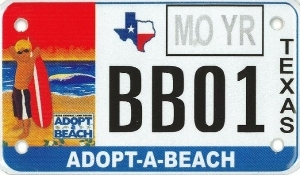 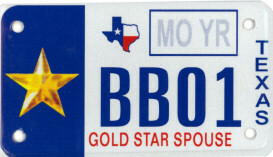 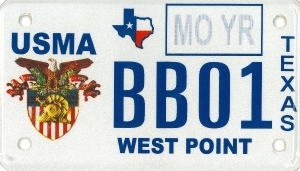 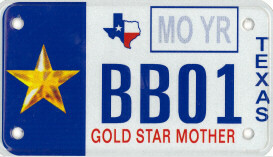 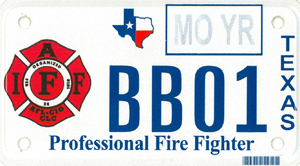 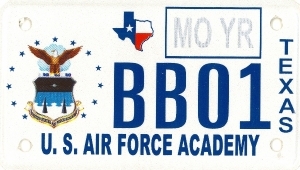 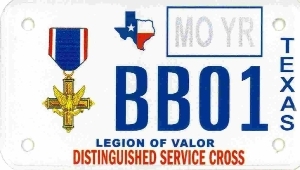 This is an undated, permanent plate requiring no plate or windshield sticker. 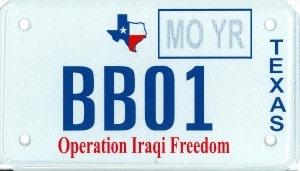 First year of issue: 2000? 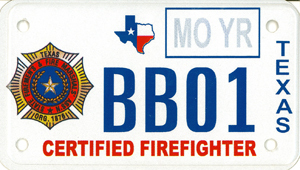 First Year of Issue: 1997? 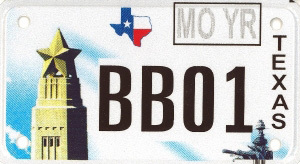 Size: 4" x 7" single plate?? 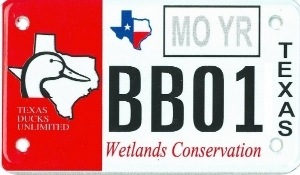 Issued only to golf carts only in Grayson County. 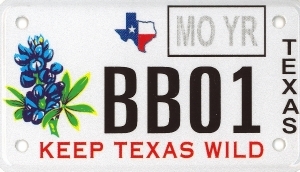 First Year of Issue: 2008? 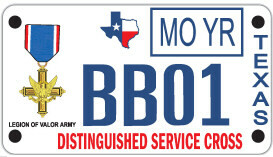 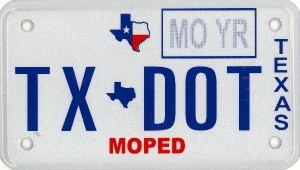 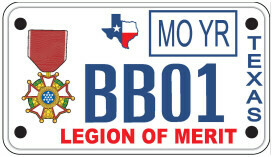 Issued to vehicles certified as Mopeds by the Department of Transportation. 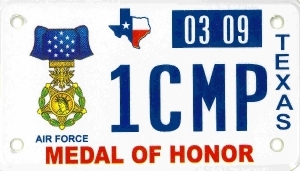 "a motor-driven cycle that cannot attain a speed in one mile of more than 30 miles per hour and the engine of which: (A) cannot produce more than two-brake horsepower; and (B) if an internal combustion engine, has a piston displacement of 50 cubic centimeters or less and connects to a power drive system that does not require the operator to shift gears." 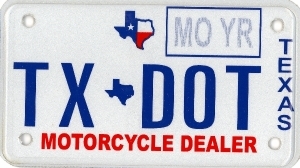 A motorcycle is defined as: "a motor vehicle, other than a tractor, that is equipped with a rider's saddle and designed to have when propelled not more than three wheels on the ground." 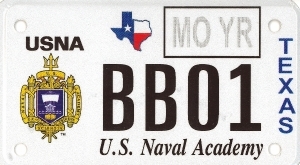 First Year of Issue: 2009?